As a Psychotherapist, I support and encourage you as you adjust to changing circumstances and transitions from one stage of life to the next. I assist as you set new goals, overcome barriers, access resources and plan a fulfilling Balanced Life. The goal of therapy is for you to be able to handle life’s challenges positively and confidently without my intervention. Since self-awareness and self-acceptance are goals that take time to achieve, I am committed to giving effective, cost-efficient counseling that will encourage you to create and live a balanced life. A feeling of human connectedness and a willingness to develop oneself fully and contribute to the welfare of others are the main criterion of living a Balanced Life. When these qualities are underdeveloped, feelings of inferiority may haunt you, or an attitude of superiority may antagonize others. Consequently, the unconscious irrational core belief will be self-centered and emotionally exploitive. When your feeling of connectedness and your willingness to contribute are Stronger, a feeling of equality emerges, and your core belief system will be self-loving and beneficial to others. All guide you towards the release of unproductive feelings and to shift your attention toward creating a new belief in perceived values, feelings, and behaviors that prohibit your personal growth. As a psychotherapist, I utilize various modalities to inspire the development of productive and beneficial belief systems in areas of confidence, self-worth, and Significance that results in an increased ability to naturally form cohesive relationships (Belonging). The paramount goal of therapy is to release destructive self-directed beliefs and behaviors and to replace them with tools that will allow you to become Confident and Empowered. My therapeutic philosophies are rooted in Alfred Adler’s research findings and therapeutic beliefs. According to Adler, when we feel encouraged, we feel capable and appreciated and will commonly act in a connected and cooperative way. When we are discouraged, we may act in unhealthy ways by competing, withdrawing, or giving up. Adlerian Psychotherapy places its emphasis on a person’s ability to adapt to feelings of inadequacy and inferiority relative to others. These emotions may be a result of birth order, especially if the person experienced personal devaluation at an early age. Or they may be due to the presence of a physical limitation or lack of social empathy for other people. This method of therapy pays particular attention to behavior patterns and core belief systems that were created in childhood. Adler believed that experiences in early childhood have an impact on the way we look at our world and how we make decisions as adults. Some of the decisions become self-defeating in our adulthood and keep us from having all we want in our lives. Adler believed that it is when we look at our early life experiences, observe our patterns of behavior that repeat themselves and examine the methods by which we go about trying to gain Significance and Belonging that actual healing, growth, and change occur. As a psychotherapist, I strongly believe that these strategies are the precursors for later self-awareness and behaviors and are directly responsible for how a person perceives themselves and others in their life. By examining these early patterns, we can develop the tools needed to create a balanced sense of self-worth, meaning and ultimately create change that results in emotional well being. Through constant empathic support, my clients are encouraged to attempt what was once believed impossible. Your personal growth of confidence, pride, and gratification leads to a greater desire and ability to create and live a Balanced Life. Alfred W. Adler (February 7, 1870 – May 28, 1937) was an Austrian medical doctor, psychotherapist, and founder of the school of individual psychology. His emphasis on the importance of feelings of inferiority – the inferiority complex – is recognized as isolating an element which plays a key role in personality development. 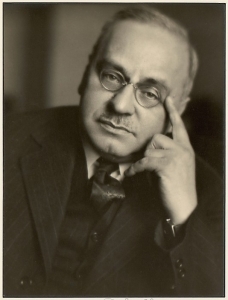 Alfred Adler considered human beings as an individual whole; therefore he called his psychology “Individual Psychology”. Perhaps our only Purpose is to be there for those who need us.